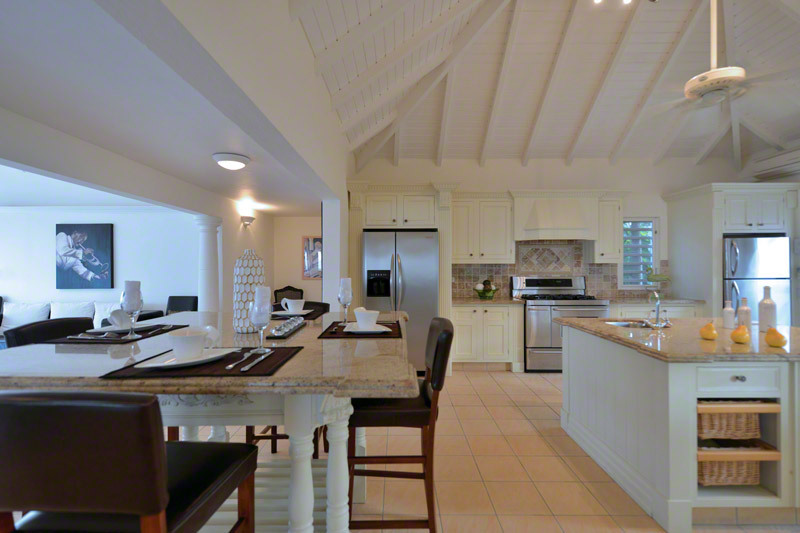 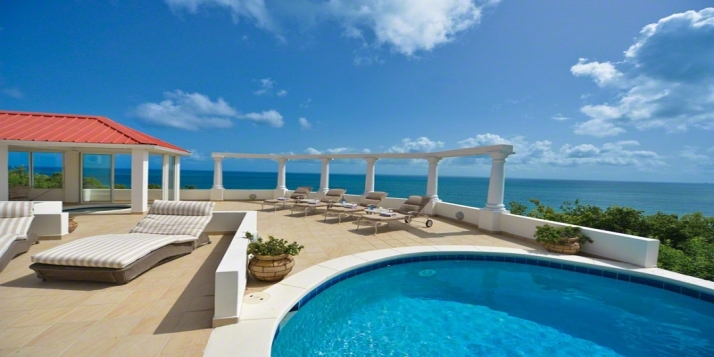 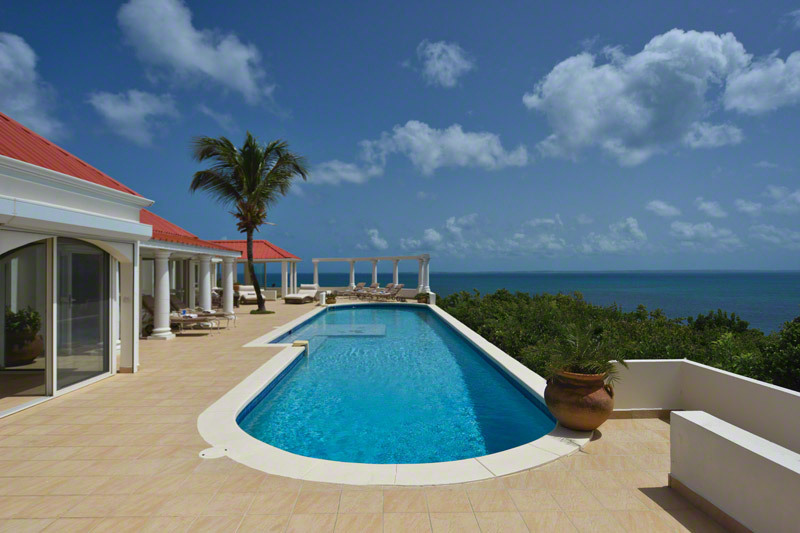 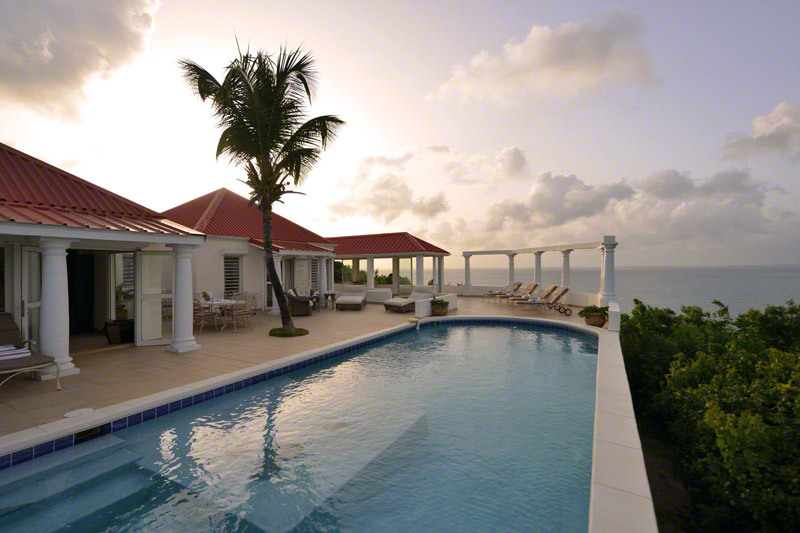 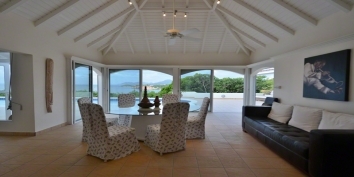 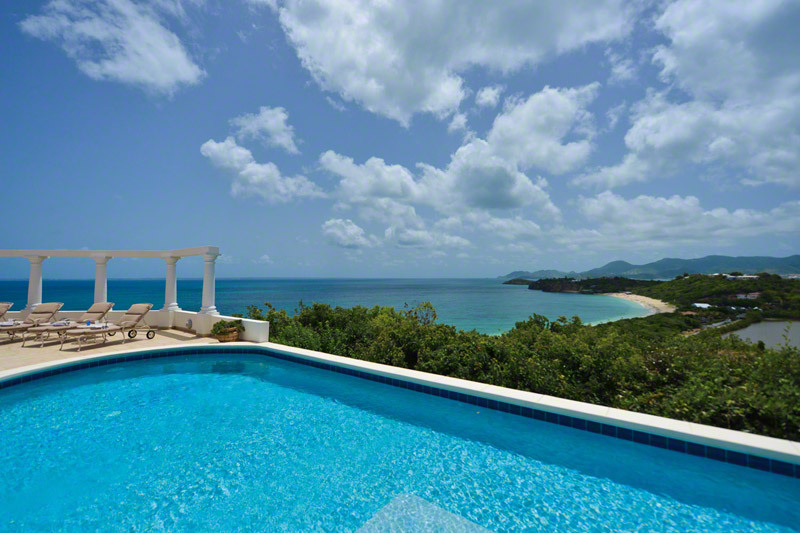 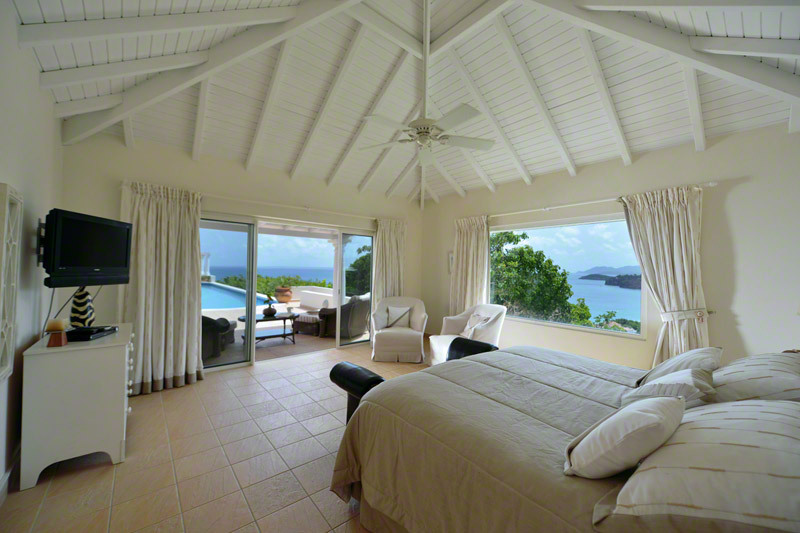 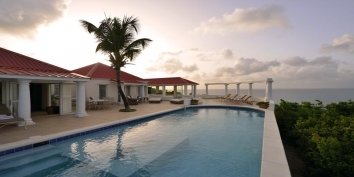 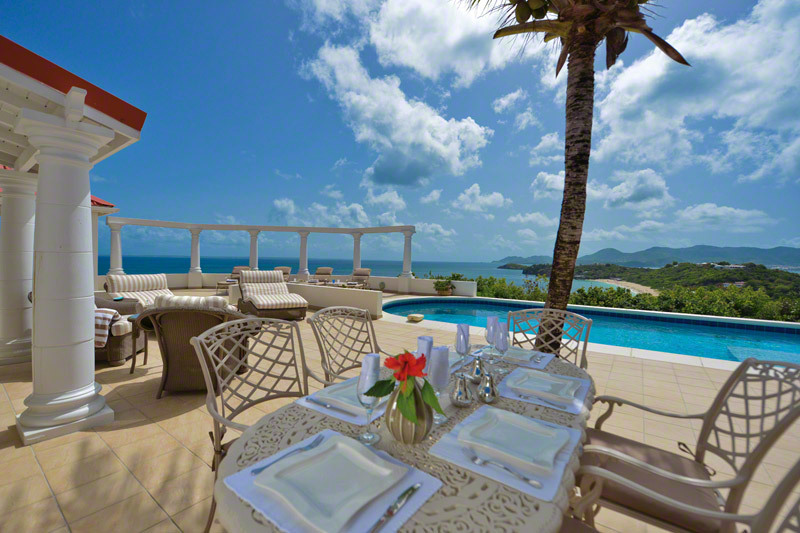 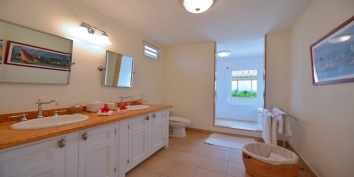 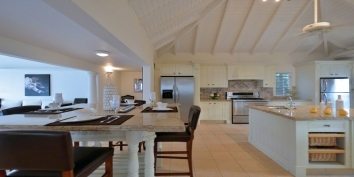 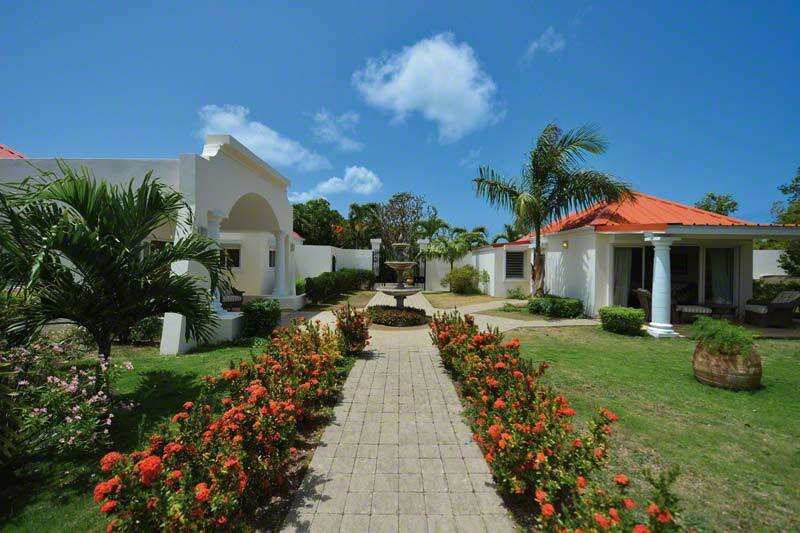 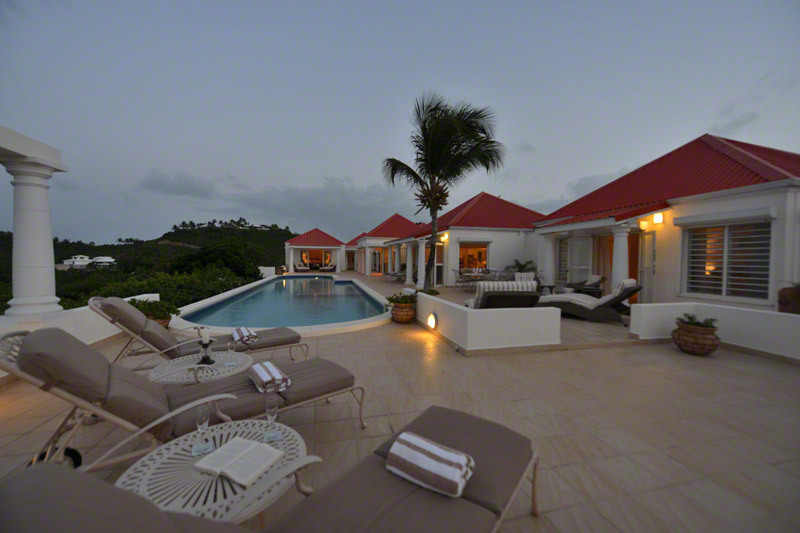 A brand new villa with 4 bedrooms, 4 bathrooms, swimming pool and stunning views of Baie Rouge! 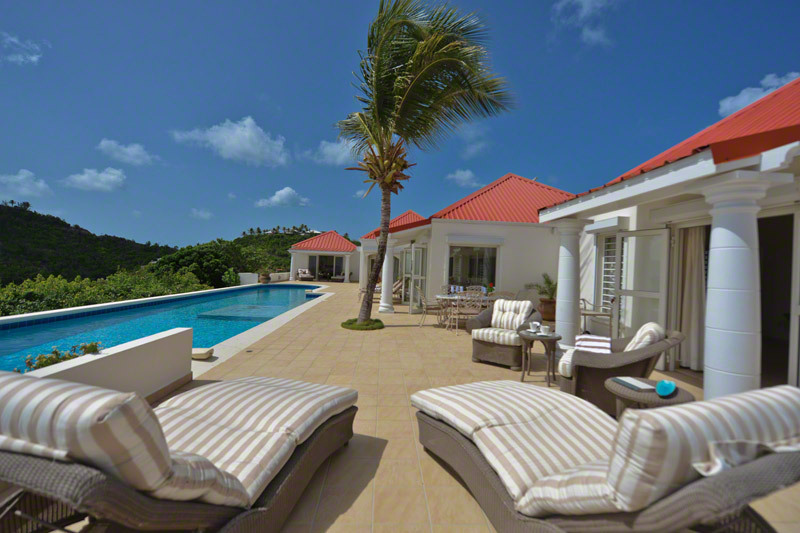 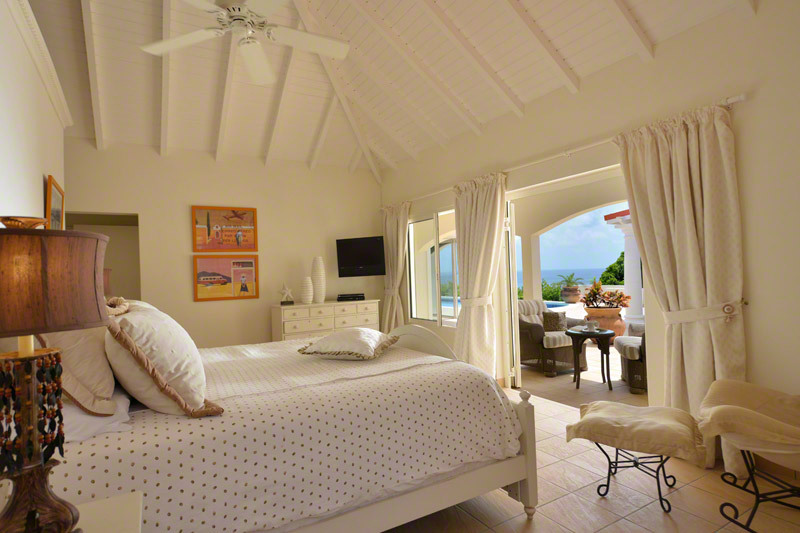 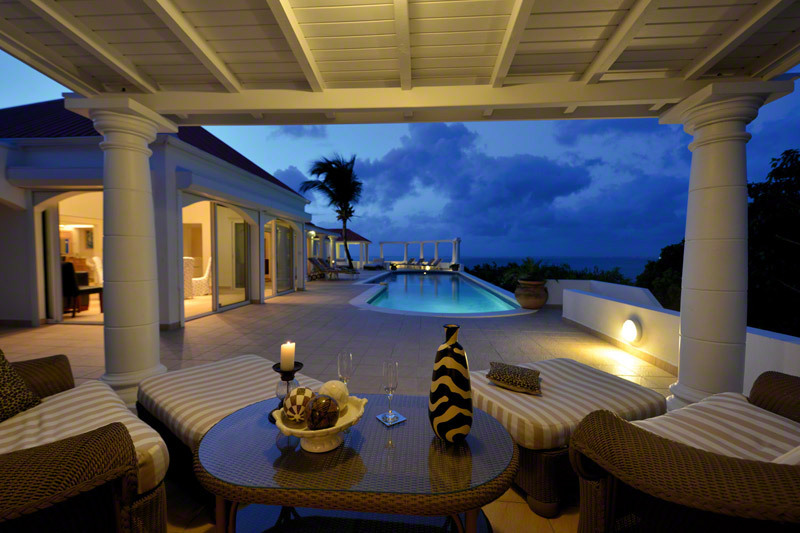 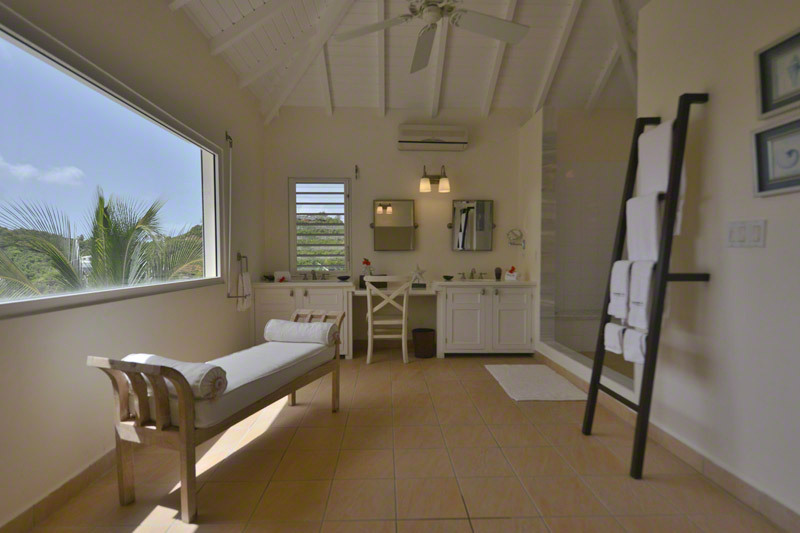 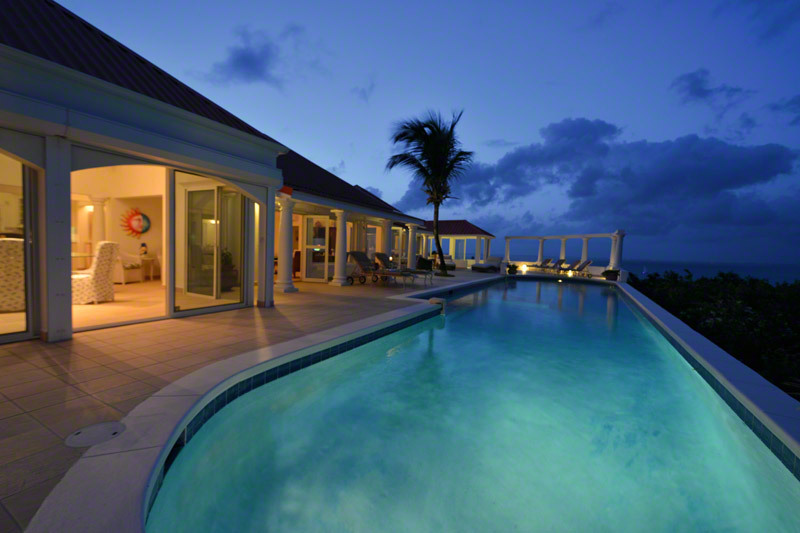 Terrasse de Mer is a brand new St. Martin villa rental with 4 bedroom, swimming pool and spectacular ocean views. 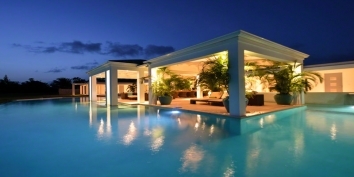 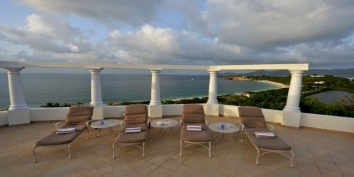 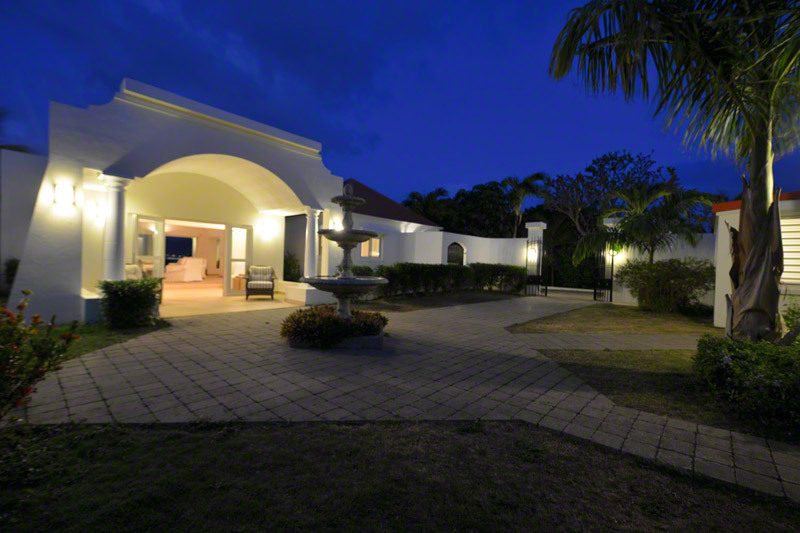 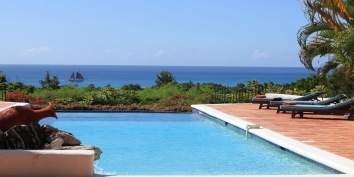 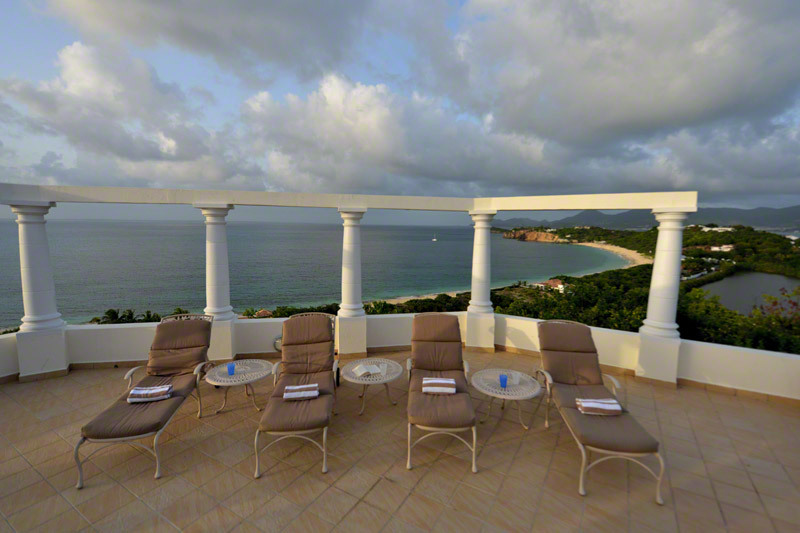 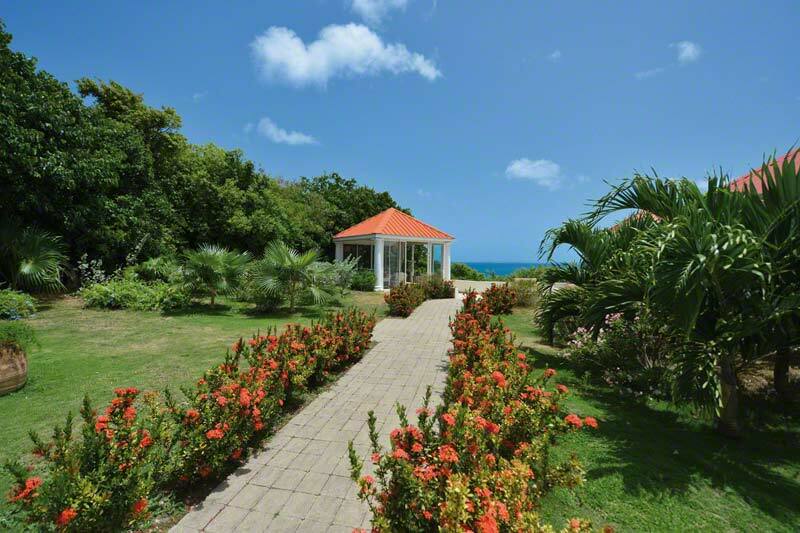 This Caribbean villa has a huge custom made kitchen with granite counter tops, a fantastic dining-living room with breathtaking views, a large plasma TV in sitting room with a collection of 200 DVDs and a charming gazebo with stunning views of Baie Rouge Beach and Anguilla. 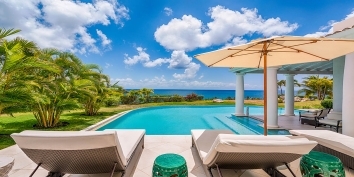 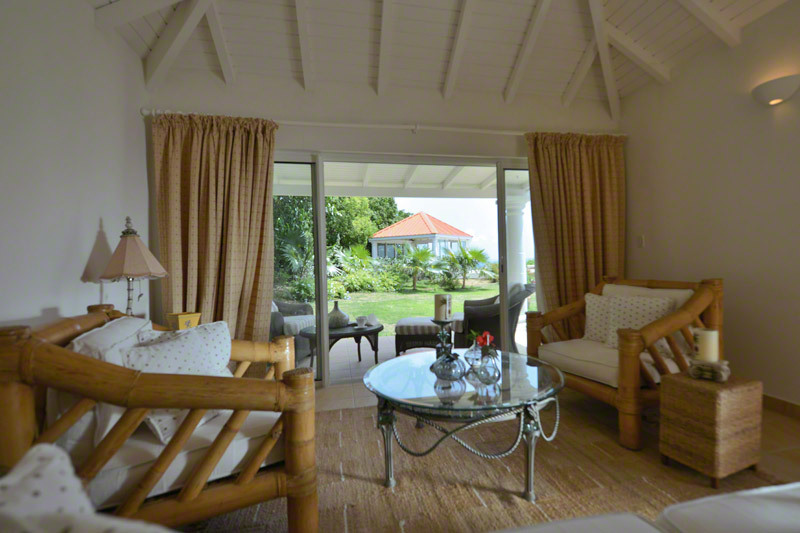 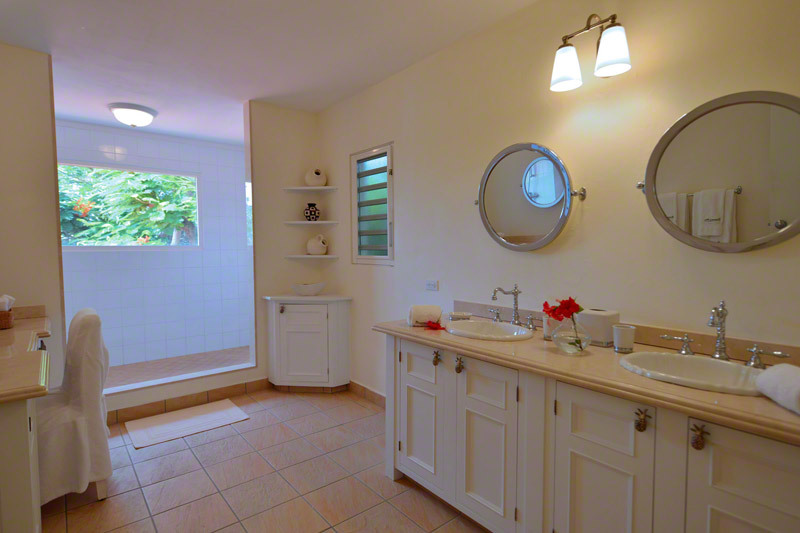 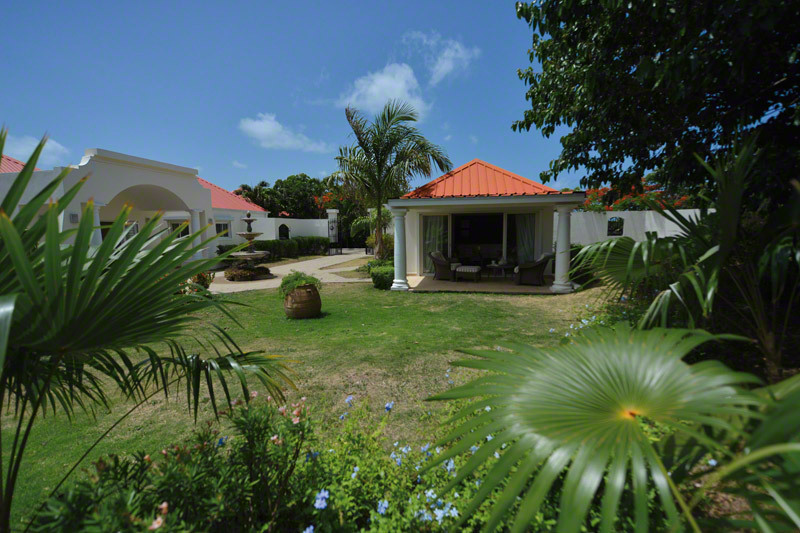 Terrasse de Mer is a beautiful, super deluxe, fully air conditioned four bedroom hillside villa on the Caribbean island of Saint Martin. The heated pool has been enlarged twice its size, the patio area around the pool is very large and extends towards Bay Rouge. 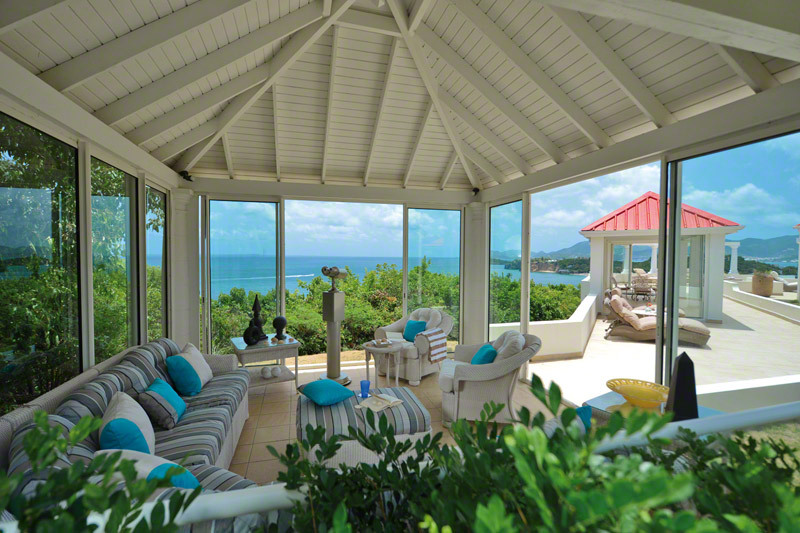 A large shade area has been build for this patio. 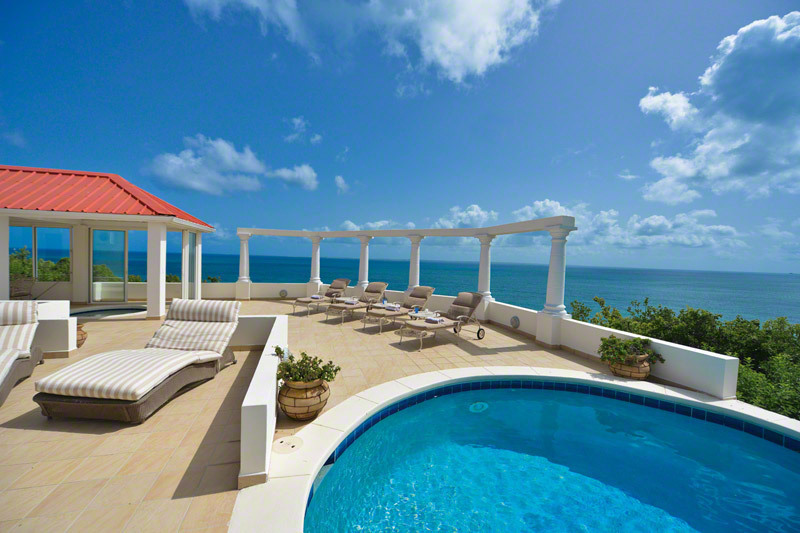 The patio is extended to the pavilion . 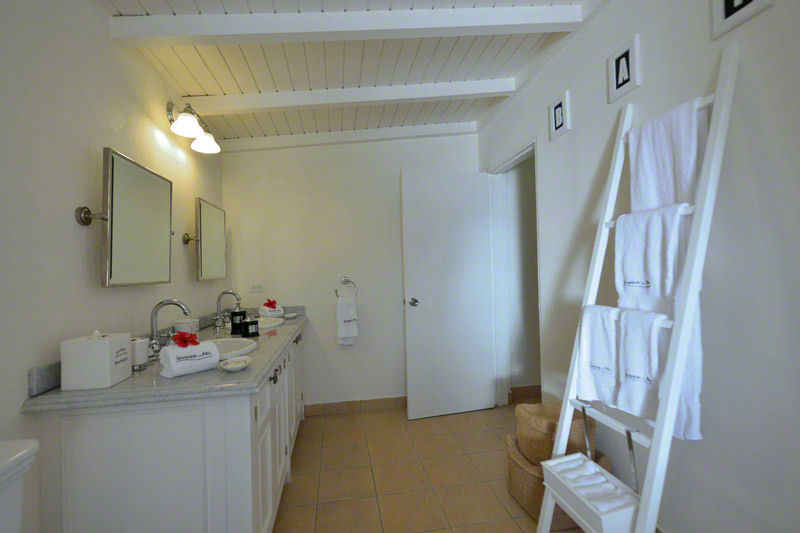 The fourth bedroom becomes a large bathroom and a new large bedroom has been added. New large furniture for the main living room and dining room. 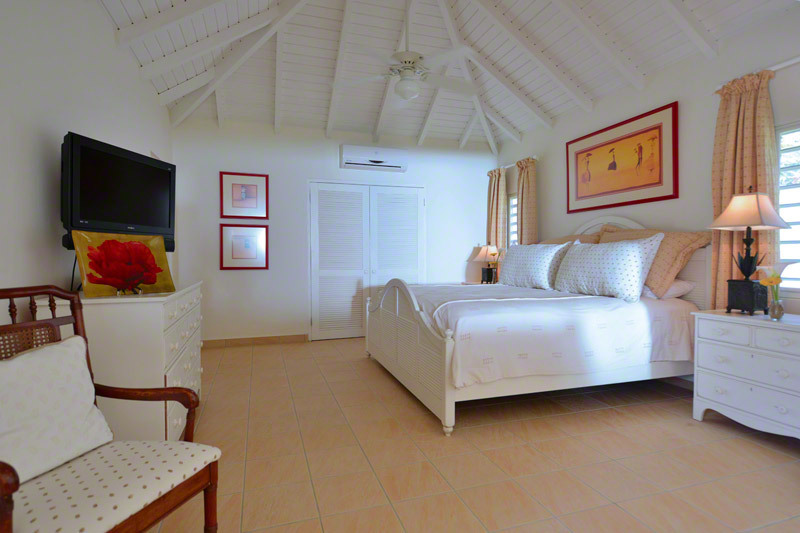 Plasma TV & DVD in each of the bedrooms. A large gym room has been added with complete equipment and a flat screen TV. 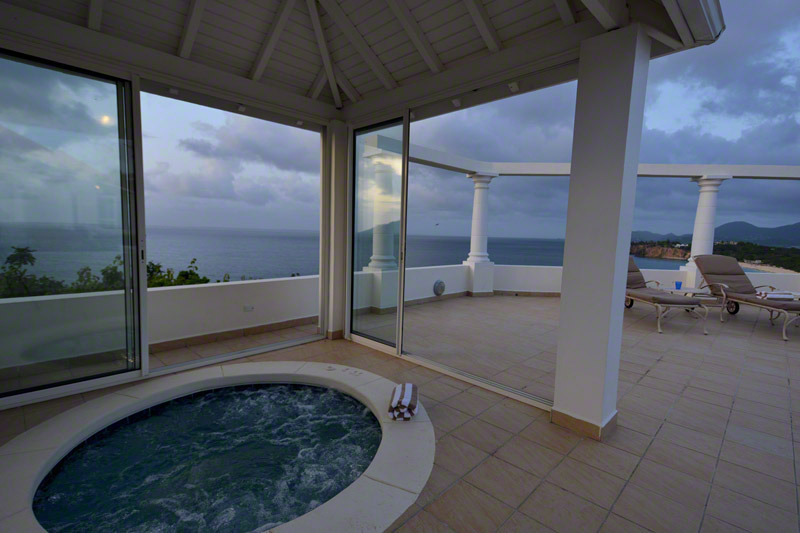 A Jacuzzi has been installed in the patio. 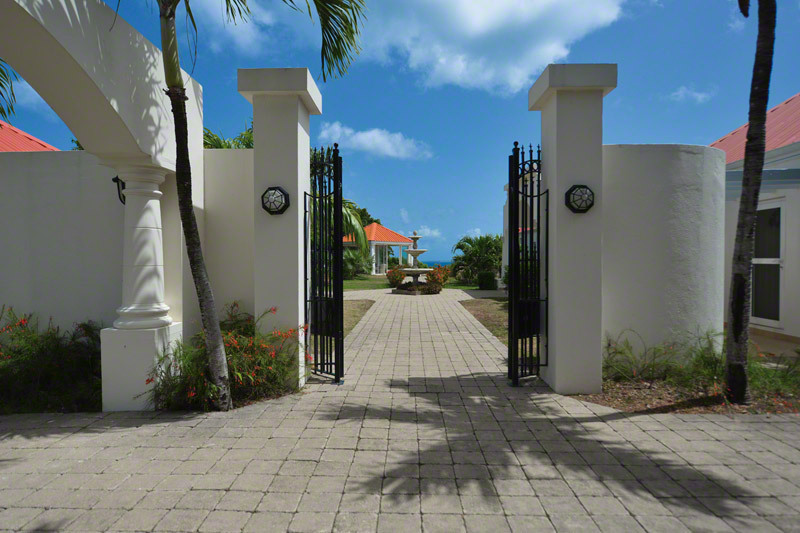 Free phone calls to USA & Canada (Vonage phone access) and Computer access with Internet high speed connection. 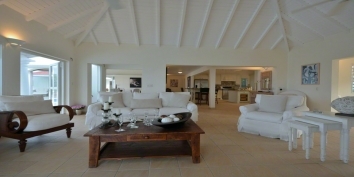 Can be rented as a 2, 3 or 4 bedroom villa! 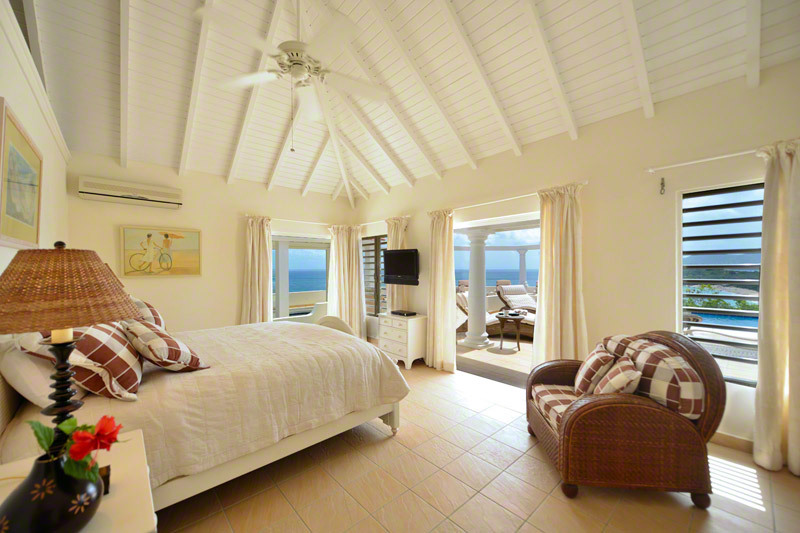 All bedrooms feature king size beds, private bathrooms with showers, air conditioning, ceiling fans, and Partial Screens. 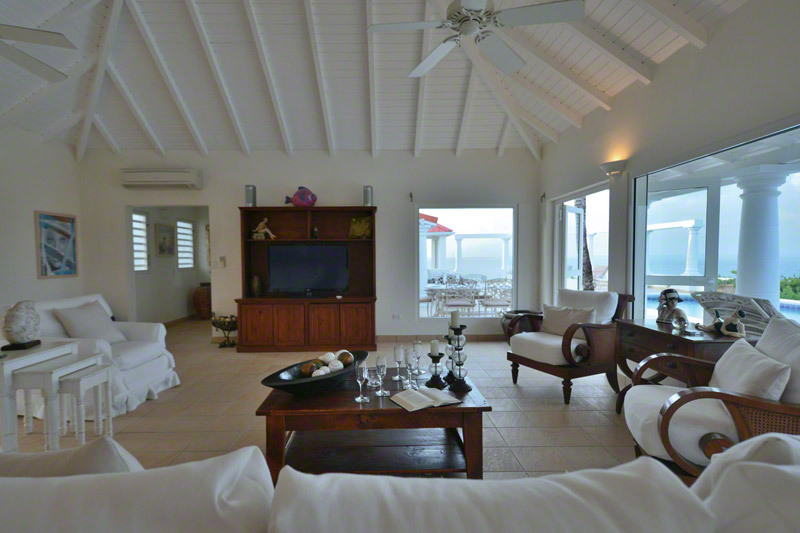 Plasma TV & DVD. 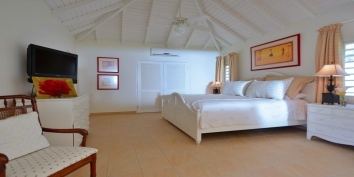 Two of the bedrooms connect to the living area. 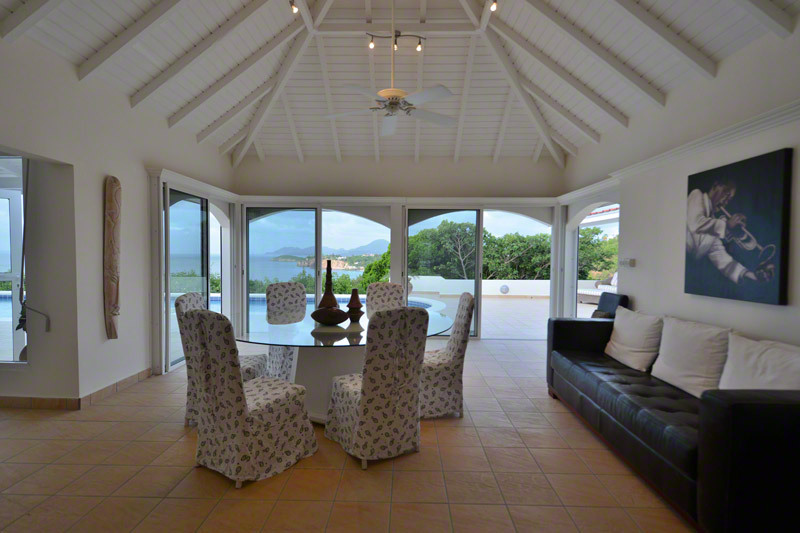 Can be rented as a 2, 3 or 4 bedroom villa !